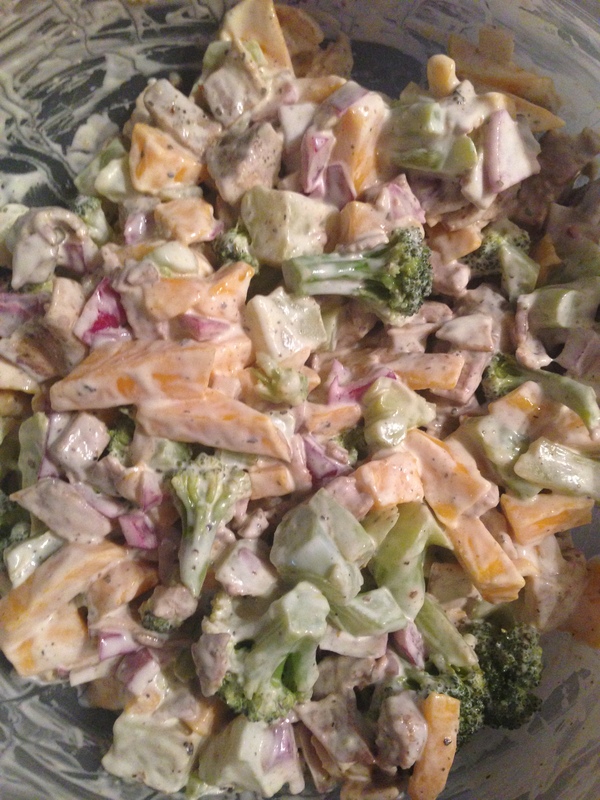 Broccoli Salad – a summer favorite! Broccoli salad has been a staple in my family for as long as I can remember. We’d have it on holiday occasions and periodically in between, but makes a cool summer salad for when things start to heat up. It’d been sounding good to me for a while so I decided to re-create the traditional recipe to make it a little healthier. Rather than commercial shredded cheese, miracle whip, sugar and bacon bits, it’s no sugar added, uncured smoked bacon and Sir Kensingtons original mayo. 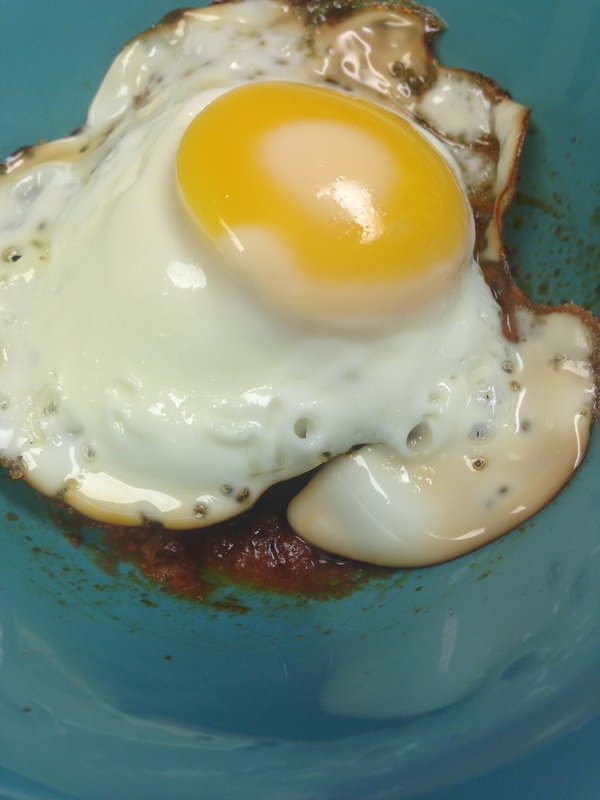 Toss everything in a large bowl and let refrigerate overnight. The mango adds the perfect touch of sweetness instead of a cup of refined white sugar, and the recipe remains dairy free! I really did not miss the cheese at all, and it’s full of healthy colors! Enjoy (I apologize, I only took one photo, which is a pretty crappy photo)! 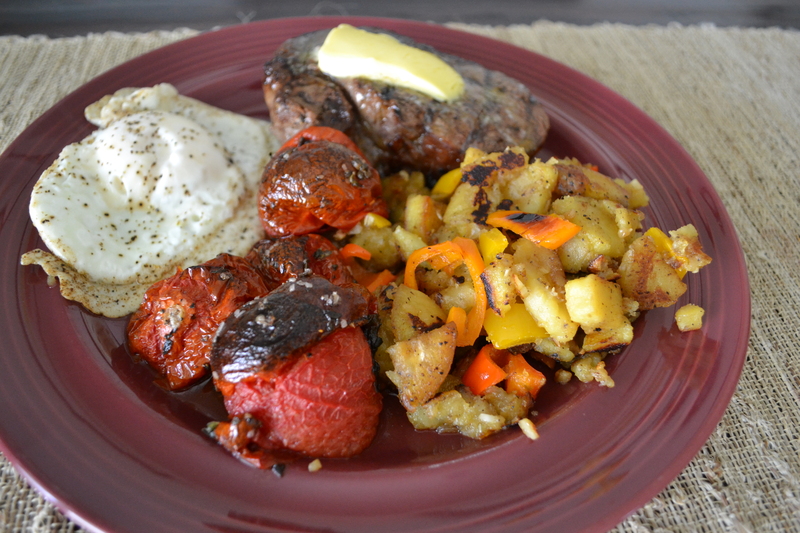 One of the things I’ve been into recently (possibly brought about by the holidays) is attempting to recreate my family’s traditional recipes into paleo-friendly recipes. 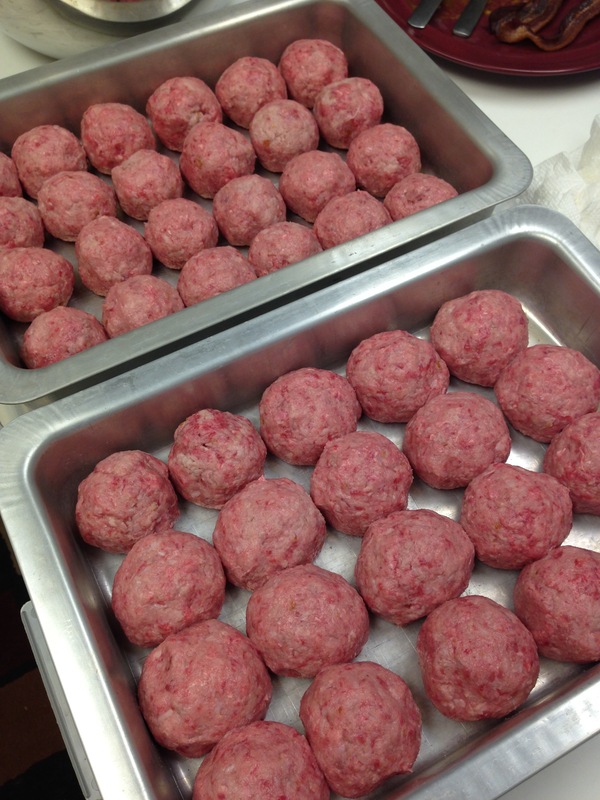 My fave family recipe happens to be Ham Balls, already including the most important part, MEAT! 😉 They’re like little cooked salty meat balls drenched in a tomato based, vinegary, sweet sauce. Mmm. Recreation went great, except I forgot I normally cut the recipe in 1/2 (that’s about all Seth and I can eat ourselves…next time I’ll freeze), so my neighbors got a pan for their family! *combine and mix well. Form into 50-60 balls. Place in shallow pan. 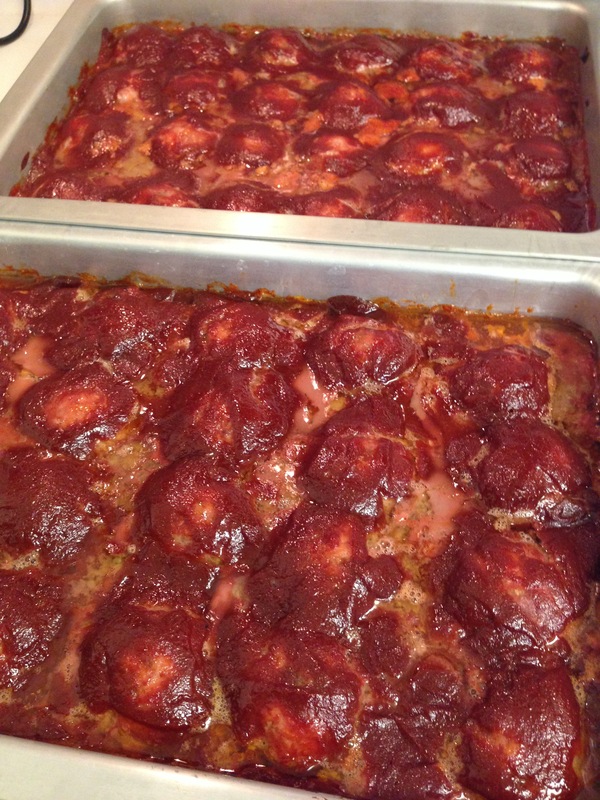 *combine sauce ingredients and pour over ham balls before baking. *combine sauce ingredients and pour over ham balls before baking. Bake at 350 degrees for one hour. So comforting, and not overly sweet. It seemed like an awful lot of sugar to me (I don’t eat much), but when you spread that over 60+ meatballs, could be far worse! They keep a long time in the fridge too, so this would be a great weeknight easy reheat for any family! I’ve eaten them plain, with eggs, on a cheese board, at breakfast, lunch, etc.! Pre and Post-bake! (looks like I was eating bacon while cooking). Seth and I typically go out for breakfast at least once on the weekends, it’s our catch-up/talky time, and we enjoy getting out early and having the rest of the day. A couple of weekends ago on a Sunday, I slept in for much-needed Zzzzs and Seth went for a run. When he got back, he made this excellent brunch and I’m patiently waiting for him to make it again. 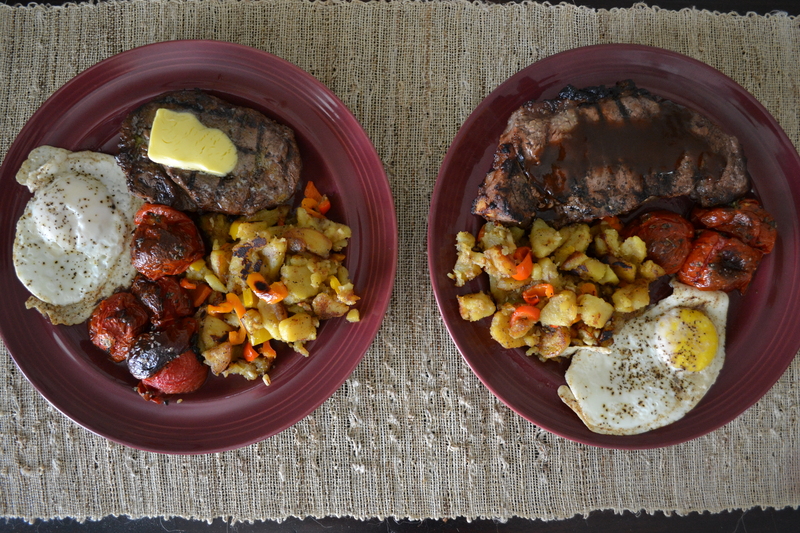 Steaks (hers: filet w/grass-fed butter, his: NY Strip w/Worcestershire), one over-medium egg, sweet potato and pepper hash (that’s the first time he’s added bell pepper to his sweet potato hash, nomnomnom), and oven-burst campari tomatoes.